Our breeding is still very young but everybody knows that it also takes time. Our goal is to have quality over quantity. We will only have from 2 to 5 foals a year. 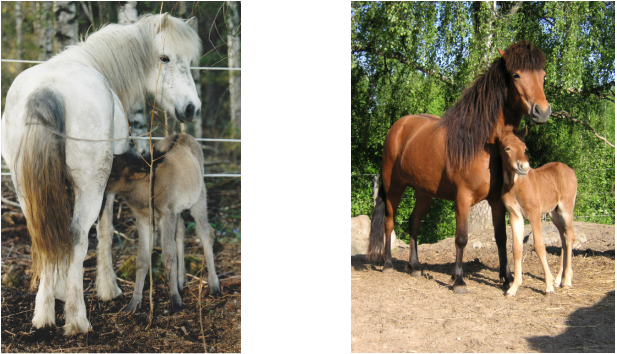 In 2009 we got two foals after first price mares and stallions. We have had already some success in our breeding, since our first foal Glenna frá Dynum was selected to national team with Saija. Breeding goal is to have horses with natural gaits with good movements, beautiful front part, well proportioned, and excellent character (isn´t that what everybody wants J ). We offer our three first price stallions for other breeders to use also.